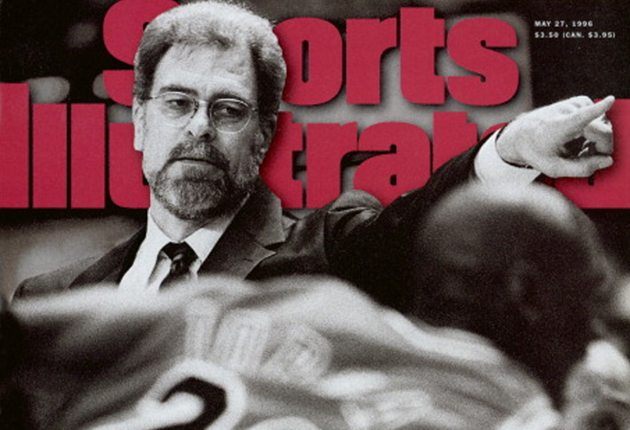 In honor of the Warriors' chase for 72, Sports Illustrated reflects on its coverage of the 1995–96. 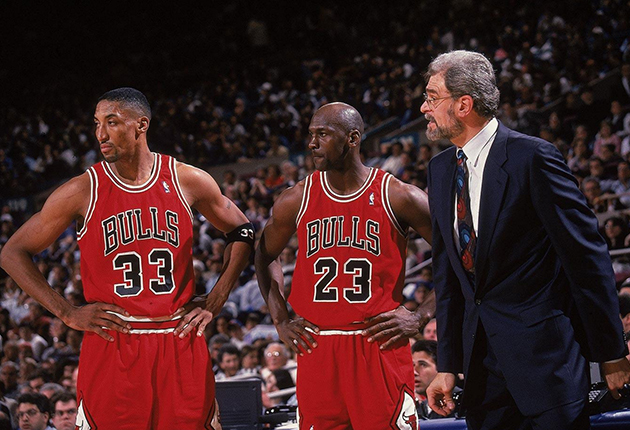 The Chicago Bulls put together an iconic 1995–96 season behind Michael Jordan, Scottie Pippen and Phil Jackson, producing the NBA’s first 72-win team and taking home the NBA title. Sports Illustrated was there along the way to cover the franchise’s every move, with photos, covers and stories to profile its journey. ​Oct. 23, 1995 - Leap of Faith: Can Michael Jordan tame the NBA’s weirdest player? A report from inside the Bulls’ camp. Oct. 23, 1995 - Wake-up Call: Hey! Michael Jordan is back for a full NBA season! Pay Attention! This is big! Nov. 13, 1995 - 55: Last spring, the newly unretired Michael Jordan lit up Manhattan, the Knicks and the NBA itself with what may have been the most thrilling performance of his career. Jan. 29, 1996 - Toy Story: The Bulls are making child’s play of foes as they shoot for a record 70 wins. 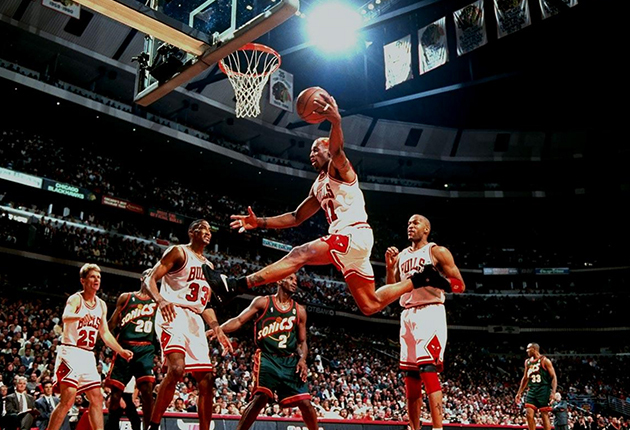 ​March 4, 1996 - Tricks of the Trade: With elbows and erudition, Dennis Rodman of Chicago rules over NBA rebounders. April 15, 1996 - Bull Run: Matchless at home, Michael Jordan & Co. proved they are road warriors, too, bearing the Magic in Orlando. April 29, 1996 - Beat-a-Bull? : Probably not. But postseason rivals have a better chance of a historic upset if they study Chicago’s handful of defeats. May 27, 1996 - The Running of the Bulls: Sitting Bull: Phil Jackson may invoke Sioux lore and Zen mysticism in coaching Michael Jordan & Co., but the real message is this: Play smart basketball. June 10, 1996 - The $40 Million Man: No matter how lucrative a contract free-agent-to-be Michael Jordan signs, he won't get what he's worth. June 24, 1996 - Vintage: After they had subdued the surprisingly feisty Sonics for their fourth NBA title in six years, the Bulls popped their corks over their record-setting ’95–96 season.